Canada’s national women’s team finished up their Cyprus Cup run with a come from behind 2-1 win over the Republic of Ireland. The win left the team in 5th place with a 3-0-1 record in a tournament they have won three times since it started in 2008. Ireland opened the scoring in the 13th minute through Ruesha Littlejohn but Diana Matheson tied it in the 56th minute and Sophie Schmidt scored the winner for Canada at the 90-minute mark. 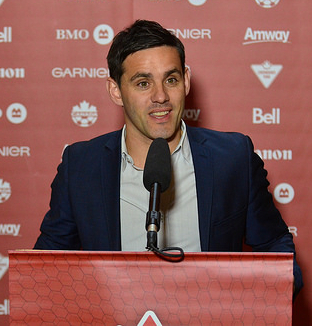 The results like any other in tournaments like this are used by coaches and observers as measuring sticks to raise questions and perhaps provide even a few answers for Canadian head coach John Herdman on the way to hosting the 2015 World Cup. The first question that always comes to mind with Canada’s national women’s team is where, outside of Christine Sinclair, are the goals going to come from? The answer at least this time round? A variety of places. In the tournaments four games Canada scored eight times and only one came from Sinclair. Sophie Schmidt led the way with three, Diana Matheson added two and Adriana Leon and Kaylyn Kyle each added single markers. The question offensively becomes then can those players find the mark on a regular enough basis to take some of the pressure and opponent attention away from Sinclair especially against the best sides in the world? The answer at least for now remains elusive. The three wins and eight goals in four games seem a good return – until you take in to account that the average ranking of Canada’s opponents at this tournament was 19.75 – well below Canada’s current 7th place ranking. Their highest ranked opponent in this competition, England (11th) shut them out 2-0 in their only loss. Worryingly it was the third shut-out loss to the English in a year for Canada and underlines the team’s inability to beat the better, never mind best teams in the world. Since last years Cyprus Cup in which Canada lost the final to England 1-0 the Canadians are 6-3-6 (W-T-L) with wins against Finland (23rd), Italy (12th), Ireland (33rd), Scotland (20th -twice) and South Korea (17th). It’s not about competing with the better teams – the worst loss the team suffered was 3-0 to the United States in that time and 1-0 losses to U.S., England and Germany combined with the ties against Brazil (0-0) and France (1-1) show that the team can compete. They also show however that against better teams they are generating almost no offence – a trend that obviously cannot continue if the team is looking for success long term. Most of the ranked teams that Canada ultimately needs success against were in Portugal for the Algarve Cup including Germany, current world number two who rolled over the opposition posting a perfect 4-0-0 record scoring 12 and allowing just 1 goal. The Germans capped off by beating a very good Japan 3-0 (3rd) in the final. The U.S. (1st), who Canada for reasons both historic and geographic measures itself against stumbled badly falling all the way to 7th in the tournament their only win coming in their final game 3-0 over North Korea. Sweden (6th) and Denmark (13th) both posted wins over the Americans who had tied their opening game against Japan. Too early to ask if the American program is slipping pack to the pack but perhaps not too early to ask if Canada been using the wrong measuring stick for the past few years?